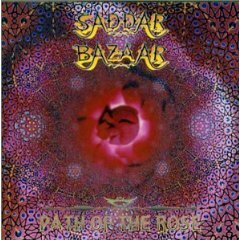 Founded in the early 90s, Saddar Bazaar is a stoney-free acid folk combo from Bristols (UK) hugely inspired by the heavenly harmonies of indian droning raga. They released their first album back in 1995. 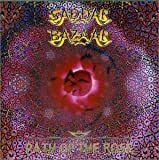 This first effort provides a dynamic mixture of fuzzing acid rockin' chords and effervescent raga scales. The following albums will stress the absolute entranced acoustic aspect of their musical signature. Gorgeous, repetitive and ritualistic. 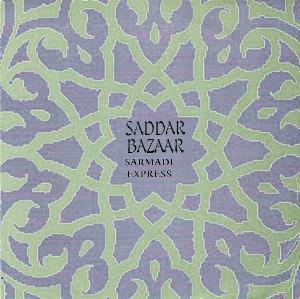 Sell your SADDAR BAZAAR items on eBay ! The fondly remembered U.K Delerium Records label from the early Nineties housed a diverse and exciting range of artists on its roster, including everything from the Hawkwind-like Omnia Opera, charming Canterbury-styled band Moom, future modern Krautrockers Electric Orange and even the earliest Porcupine Tree recordings from modern prog notable Steven Wilson. 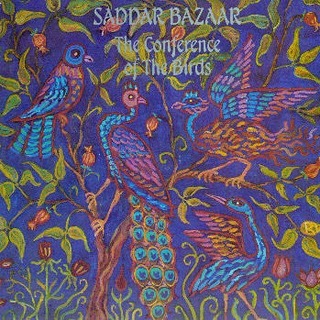 Another interesting obscurity was Saddar Bazaar, a British group that blended frequently improvised droning sitar- driven instrumental raga-rock, psych and acid-folk vibes with swampy burning stoner guitars and the lightest of gentle keyboard backings on their captivating debut album `The Conference of the Birds' from 1995. 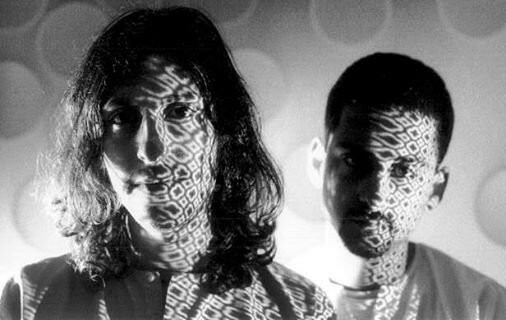 Opener `Sukoon' carefully sets a template for much of the album, a haze of groaning sitar, sparkling tabla and other exotic ethnic percussion instruments weaving a mellow atmosphere. It's also quietly joyful and embracing here, with the lightest of pristine electric guitar wisps gently reminding of German band Agitation Free's crossover of chilled electric guitar jamming and world flavours on their first two albums from the early Seventies. Both `Arc Of Ascent (Part One)' and `Kiff Riff' add some dusty bending blues, the former powered by chugging Ry Cooder-esque guitars and the latter casting a drowsy spell of multi-tracked sitar strains wrapping around the listener over the top of trilling ambient keys. Side one of the LP wraps on `Garden Of Essence' that takes on a drowsy head-bobbing hypnotic hold before grumbling with stony purpose. 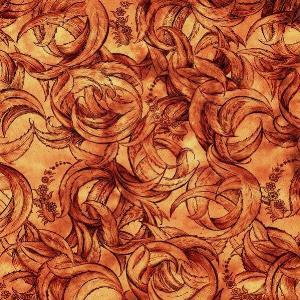 The flip side's `Sukoon (Reflection)' electronically distorts a rambling sitar drone, `Shamsa (Sunburst)' begins life as a short but precious guitar reflection and `Baraka' bounces driven by strident percussion. `Arc Of Ascent (Part Two)' brings back the rumbling blues over spirited synth flightiness (nice quickie uptempo burst in the final moments too! ), `Freedom Rider' is a final marshy stoner rocker blast and `Neelum Blue' is a placid and dreamy acid-folk/psych sitar/guitar rumination to gently come down on. At forty-six minutes it's perhaps slightly overlong and just a little repetitive here and there, and this kind of music would probably work better by focusing on less but longer and further developed pieces (something a reworked version of the group would deliver on their very welcome comeback album `Seventh Valley' in 2016), but it's still an energetic, intoxicating brew of east-meets-west atmospheres, and just a cool album to have spinning in the background. Three and a half stars...and the cover looks a treat on vinyl as well. I am not sure if I would say 'Good, but not essential' - I would say 'worth checking out' - but I wouldn't rate it higher than three stars. Do you remember the 90's? Remember the Techno? Check! Do you remember the whiny alt- rock? Check! Do you remember the rap? 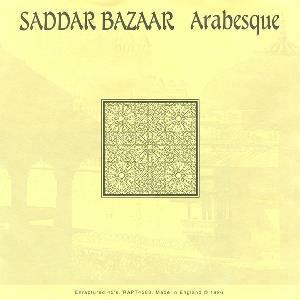 *sigh* check, and, do you remember the great Indo- prog albums being made. Check. No! Wait a minute... Indo-prog albums? 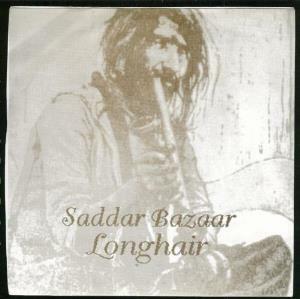 Saddar Bazaar? Their keyboardist is called Banx after all... not that you'll notice him. So, those distant-eyed tree-huggers were staging a comeback in the mid-90;s huh? Hooray! The 90's wasn't ALL bad you know, far from it. This here mix of Raga rock, garage rock and swamp rock is unbelievable (in the good, amazing sense, not in the 'dishonest' sense). Uhh... they weren't into varying their formula a lot. Ok, not at all, really. But what you have is some utterly enjoyable guitar jams, the stuff your ears love to chew on, providing you have a bit of patience. The highlight is probably the 8-minute 'Garden of essence'. After three minutes you want to write it off as repetitive, but, it's starting to hook you, then they begin it, a slowly progressing ascent into spine-tingling joy, slide-guitar jams tantalising over an ever-increasing tempo that excites you more and more, until it reaches it's thrilling climax, as such pleasure! Then there's the burst of energy, 'Freedom Rider', hippy stuff, man! Now maybe they should add vocals or something to the tracks that never really seem to go anywhere, like 'Sukoon', but the only real low points are 'Bakara', which is brief anyway, and the reflection, 2 LONG minutes of 'Sukoon' being played backwards, which screams filler!! Anyhow, not bad. 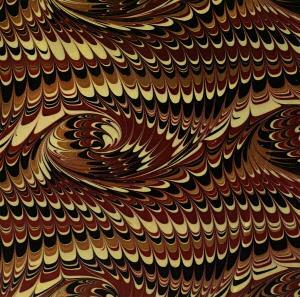 Great stuff, but maybe some arrangement varying to make it more interesting or appealing. Three stars no doubt.